A customer had a machinist make this a few years ago. 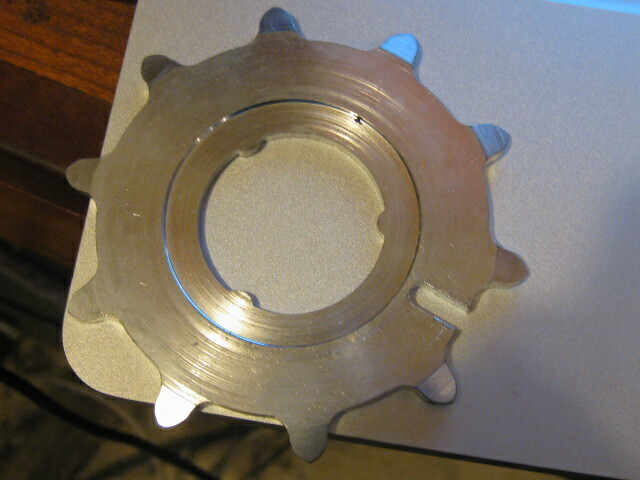 It is a 10 tooth ‘skiptooth’ cog to fit on more modern 3 spline coaster brake hubs. it is 1″ x 3/16″. New.